UWA support for student learning is extensive and varied. You'll find many exciting opportunities to assist and enrich your academic studies. Check out STUDYSmarter's range of free services to help UWA students develop your study, communication, maths, English language, writing and research skills. Explore Academic Conduct Essentials, Communication and Research Skills, Indigenous Studies Essentials, and GETSmart Study Skills resources. Get academic advice and answers to your course and enrolment queries no matter what your area of specialisation is. 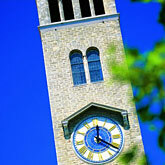 Access UWA's networks, systems and research resources including IT Help, email and other accounts and faculty computing. The Class Allocation System (CAS) assists in the process of assigning students to classes. Participate in the University's world-class graduate research training activities for both current and future postgraduate research students. Find comprehensive information about scholarships for both current and future students.